It hardly makes the news any more that the US is becoming an extremely unequal country. The three wealthiest US families are the Waltons of Walmart, the Mars candy family and the Koch brothers, heirs to the country’s second-largest private company, the energy conglomerate Koch Industries. These are all enterprises built by the grandparents and parents of today’s wealthy heirs and heiresses. 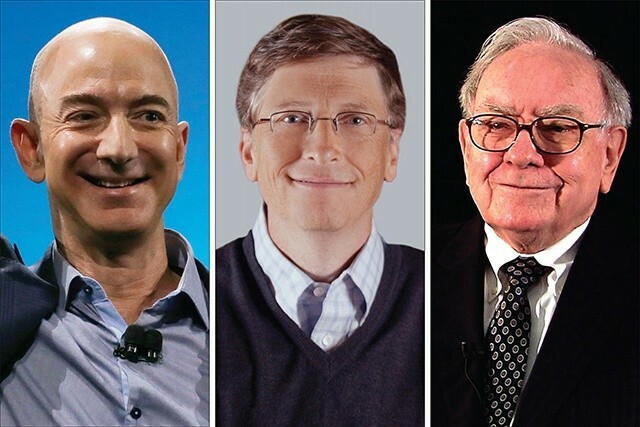 These three families own a combined fortune of $348.7bn, which is 4m times the median wealth of a US family. Since 1982, these three families have seen their wealth increase nearly 6,000%, factoring in inflation. Meanwhile, the median household wealth went down 3% over the same period. The dynastic wealth of the Walton family grew from $690m in 1982 (or $1.81bn in 2018 dollars) to $169.7bn in 2018, a mind-numbing increase of more than 9,000%. Usually wealth diminishes over multiple generations, as money is spent, passed down to heirs, given to charity and paid in taxes. Only when families aggressively intervene to arrest this cycle does wealth continue to expand over multiple generations, even as the number of heirs increases. Several dynastic families have used their considerable clout to stage just such an intervention, spending millions to save themselves billions. They’ve lobbied Congress to tip the rules in favor of dynastic wealth, including tax cuts and public policies that will further enrich their enterprises. In the early 2000s, the Mars, Walton and Gallo families actively lobbied to abolish the federal estate tax, a tax paid exclusively by multimillionaires and billionaires. The Koch brothers have since organized their famous donor network to lobby for tax cuts for the rich and to roll back regulations on the energy industry, the source of their wealth. Others aggressively use dynasty protection techniques to hide wealth and transfer it to heirs. They hire armies of tax accountants, wealth managers and trust lawyers to create trusts, shell corporations and offshore accounts to move money around and dodge taxation and accountability. For example, the casino magnate Sheldon Adelson, number 15 on the Forbes 400 list, has used complicated trust mechanisms to pass on $7.9bn to his children while avoiding $2.8bn in gift and estate taxation. Adelson recently broke spending records on midterm elections, with more than $100m in campaign donations. Not all the wealthy are focused on hoarding for the next generation. Warren Buffett, the third-wealthiest person on the Forbes list, decided not to give his children his immense wealth. Instead, he pledged his entire fortune to charity and contributing to the public good through paying taxes. In the face of weakened tax laws and aggressive wealth hiding, we’re facing the emergence of widespread wealth dynasties. The French economist Thomas Piketty has warned that if we don’t intervene to reverse these dynamics, we’re moving toward a “patrimonial capitalism”, where the heirs of today’s billionaires will dominate our politics, culture, philanthropy and economy. That’s a world none of us will want to be part of.